The pros at this year’s #Master’s Golf Tournament use a wide variety of different golf clubs. Interestingly enough, last year’s winner and current Master’s leader, Jordan Spieth, uses a selection of almost all Titleist Golf Clubs. 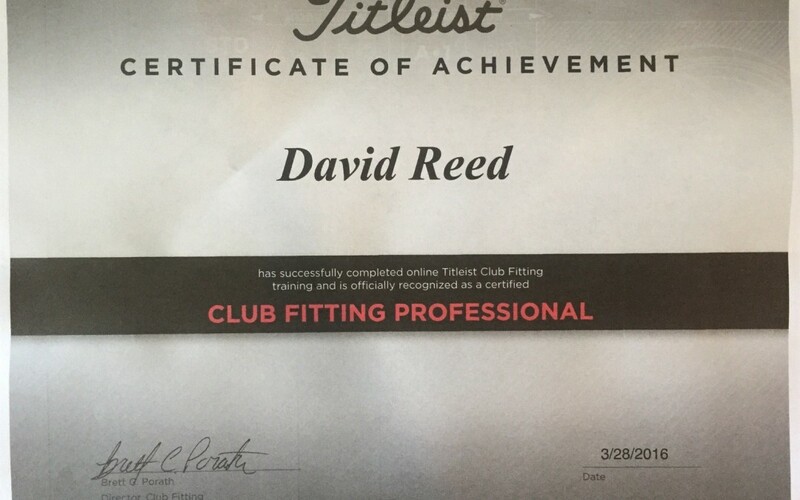 Golf Pro David Reed was recently named a Titleist certified Golf Club Fitter. No matter what the brand of club you would like to buy or try, David Reed can put together a bag of clubs that will improve your game immensely. You would not buy a pair of pants or shoes without knowing the correct size, why would you ever spend hundreds of dollars on golf clubs without having them properly fitted? David Reed knows more about golf clubs than anyone else in East Tennessee and he has the Titleist certification to show it. He uses his combination of golf knowledge, video analysis, and GC2 swing monitor to make sure you get the right clubs in your bag no matter what the brand. If you are having problems with your golf game it is probably time to visit David Reed and have a club fitting. Did you know your swing can change as you get older, stronger, or even as you progress through a round? David Reed can help you analyze all this and put the right club in your hand for every situation with a quick easy club fitting. Follow David Reed’s Golf Lesson Blog every day as he does the best Golf Club Fittings in East Tennessee for Juniors, Women, and Male Golfer’s from all across the state.